Quantity: An average of 16 pounds is needed per canner load of 7 quarts; an average of 11 pounds is needed per canner load of 9 pints-an average of 2-1/2 pounds yields 1 quart. 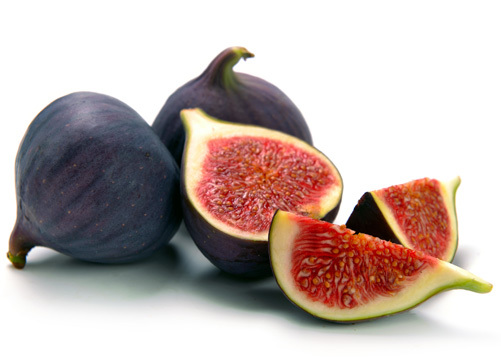 Quality: Select firm, ripe, uncracked figs. The mature color depends on the variety. Avoid overripe figs with very soft flesh. 2. Wash figs thoroughly in clean water Drain. Do not peel or remove stems. 3. Cover figs with water and boil 2 minutes. Drain. 4. Gently boil figs in light syrup for 5 minutes. 5. Add 2 tablespoons bottled lemon juice per quart or 1 tablespoon per pint to the jars; or add 1/2 teaspoon citric acid per quart or 1/4 teaspoon per pint to the jars. 6. Fill jars with hot figs and cooking syrup, leaving 1/2-inch headspace.